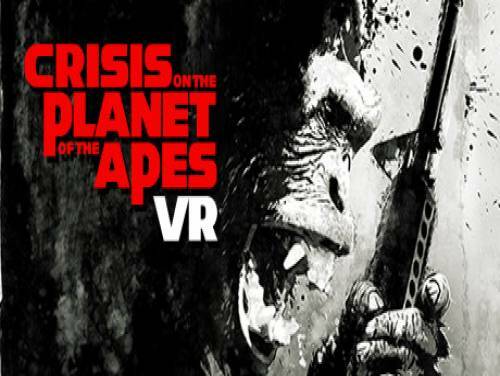 Cheats and Codes of Crisis on the Planet of the Apes for PC / PS4 including Game Achievements Guide. Welcome to the article on this site associated with the cheats and unlockables of Crisis on the Planet of the Apes All the secrets we know about this game are written on this page. Discover Cheats, Cheat Codes and Tricks for Crisis on the Planet of the Apes (PC / PS4): Game Achievements Guide. Our material can be used with the following consoles: PC / PS4 This list is constantly updated from PC / PS4 or since the game came out. Are you stuck in the game? We have the solution to your problem, and also that of Crisis on the Planet of the Apes. Visit the solution and complete guide of Crisis on the Planet of the Apes always on apocanow You will find all the video guides taken from YouTube on this game and put them all on one page. better to overcome the obstacles that block you. Five years on from the outbreak of the epidemic, the fever Simian has wiped out half of humanity. You are a monkey from the advanced intelligence, you have been captured and you're kept captive in a remote scientific structure. Climb, jump, and evade together with your similar to the chaos of an apocalyptic world, to return home.